Anyone can use Mixlr to listen to broadcasts - you don't need to have an account for this, but we recommend signing up for an account to get a fuller experience of what Mixlr has to offer. You'll be able to join the chat on Mixlr livepages to interact with broadcasters and other listeners, and you can also follow your favorite broadcasters to get notified about new shows. 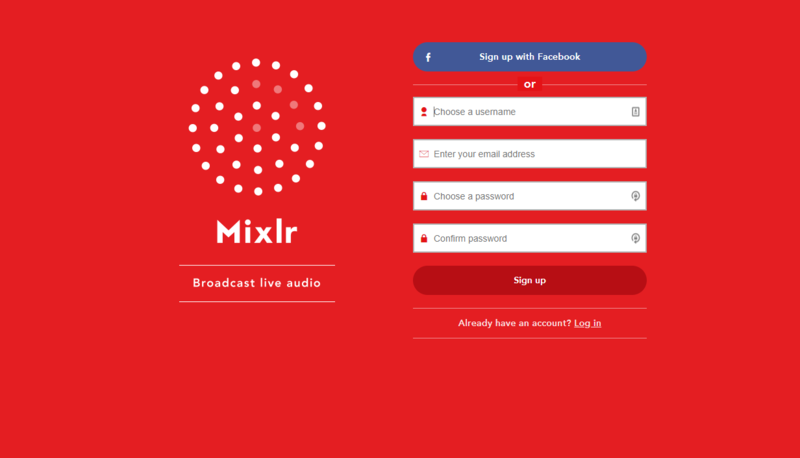 You can join Mixlr for free by logging in with Facebook or signing up with an email address and choosing your username and password. TIP: if you want to try broadcasting with Mixlr we recommend signing up for a free trial of one of our broadcasting plans. Click this link to sign up for a free two week trial. If you have already created a Mixlr account but you haven't signed up to a trial, contact us here and we'll be able to set one up for you.